In my opinion, the Texans had the most desirable job of all the open positions. This is a club that is only a year from winning back-to-back AFC South titles. There is talent on both sides of the ball, as shown by them finishing in the top 11 in both offensive and defense despite having the worst record in the league, and for O'Brien, there are plenty of pieces to work with offensively. The line is solid, Arian Foster is one of the top backs in the league and Andre Johnson is still a top-shelf wideout with the talented DeAndre Hopkins opposite him. All their offense needs is a quarterback and considering the team has the top pick in the 2014 NFL Draft, a potential franchise quarterback can be brought into the mix right away. And the fact that O'Brien has the reputation of being a strong QB developer makes his fit even better considering his new club's need. We saw O'Brien's talent in working with quarterbacks in Happy Valley in that he helped Matt McGloin turn in a strong senior season in 2012 when he had been awful his prior two years and helped true freshman Christian Hackenberg to a solid season in 2013. Not to mention that O'Brien also worked with Tom Brady for a few years with the Patriots, and that's never a bad gig. There is the common thought that college coaches are bound to struggle when hired right to the pros. There is also the common concern of Bill Belichick's coaching tree, which has been largely fruitless with such names like Josh McDaniels, Romeo Crennel and Eric Mangini. But for the first point, we have seen a turning of the tide with some college-to-NFL successes with Jim Harbaugh and Pete Carroll and often college coaches are given too much power, with I doubt will happen in Houston with general manager Rick Smith still running the show. And those Belichick coaching tree guys did not have the experience leading a team like O'Brien has had while leading Penn State. And O'Brien's impressive job with the Nittany Lions had made him one of the hottest head coaching prospects in the country. 15-9 in two seasons may not appear to be too entirely impressive on paper but considering the circumstances of the job that he was stepping into, a program with a major black eye in the Jerry Sandusky scandal which would leave the program with very strong sanctions that summer (which would be lessened by the NCAA eventually), as well as having to replace Joe Paterno, a truly larger than life figure at the school as well as someone who saw his reputation take a major hit as well. 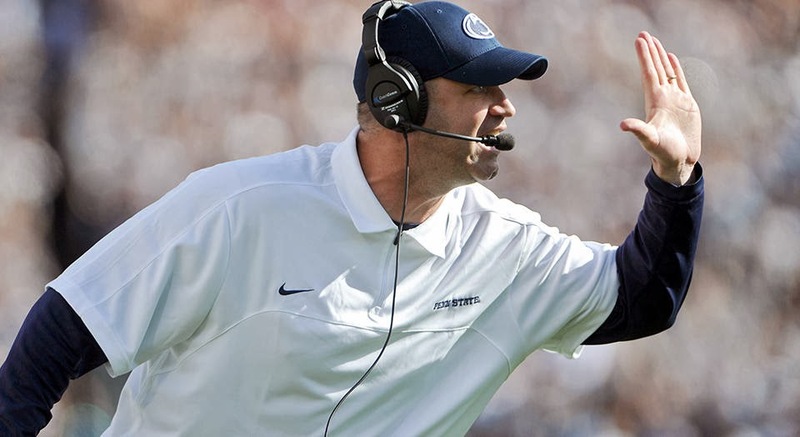 Few outside of State College thought that the Nittany Lions would rebound as strong as they did in 2012 but they put together an impressive eight win campaign. It did begin to appear that O'Brien did not feel truly comfortable at Penn State and was looking to head back to the NFL. An excellent piece by PennLive.com's David Jones shows that O'Brien was clearly frustrated with having to deal with "Paterno people" who were criticizing recent moves he made to his coaching staff as well as not fully getting used to the college game as a head coach. He never was able to shed the "outsider" feel even after two impressive seasons and thus left for a better opportunity when the picking was ripe. All in all, this is a really good hiring by the Texans and I think that O'Brien will have the Texans back in the playoffs in no time, or just about it.